Just in time for Australia Day 2015, the choc-coffee lamington joins traditional, choc-raspberry and choc-orange as Kytons fourth lamington variety, but it has been an interesting journey from concept to product launch….. In 2013, as part of our 75th Anniversary celebrations, the Kytons team came up with the idea of offering Royal Show visitors the opportunity to vote for a new Kytons lamington flavour. Kytons’ bakers developed three possibilities – double choc, choc-orange and choc-coffee and over 3000 people embraced the opportunity, tried the three flavours and voted for their favourite. Orange was the winner, but only just – coffee came a very close second (less than 100 votes behind). 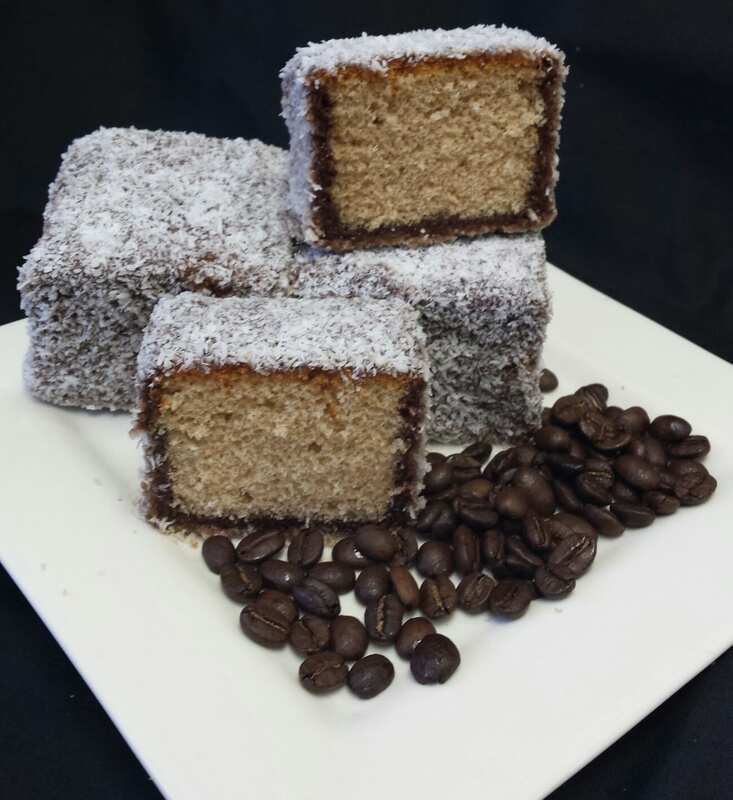 Orange lamingtons were launched throughout South Australia in time for Australia Day 2014 and a smaller run of coffee lamingtons was made – available exclusively from Kytons store in Edwardstown. Over the next few months, the coffee lamingtons generated quite a following as customers came from far and wide to buy them and to ask us to widen their availability, so we took FOUR flavours of lamingtons to the Royal Show in 2014 to really test the market. 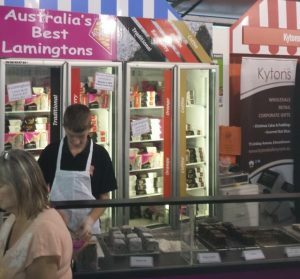 Four fridges of different flavoured la mingtons looked fantastic at the Royal Adelaide Show (left) and the coffee lamingtons were a massive hit – selling out on several days. – we hope you love it.